Modern evidence is evaluated based on the evidence hierarchy. USRPT has been informally backed by volumes of research, but as never itself been tested in formal research. There’s nothing wrong with backing by lower levels of evidence, so long as claims align with the actual level of support. Perhaps nothing sparks heated debate in swimming these days like Ultra Short Race Training (USRPT). Part of the controversy stems from the endless debate of high mileage versus low mileage. But part of the controversy results from bold claims from the USRPT science community about being “more scientific” than traditional training methods. In this post, we’ll explore whether such claims are justified based on modern standards of evaluating scientific evidence. 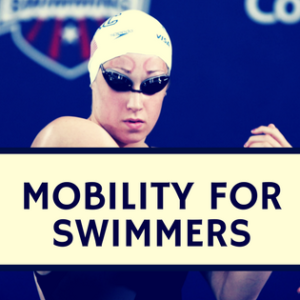 Despite some critical words about the USRPT science that I’ll write below, I currently use USRPT for my own swim training as a triathlete and have been training this way for one full season. So, I really have no axe to grind against USRPT. It is important to note that USRPT is more than just doing short reps at a fast pace. Dr. Rushall has outlined specific guidelines detailing nearly every aspect of programming and workout execution. Intentional failure is another key concept within the USRPT system that makes it inappropriate to lump it into generalized HIIT. So it would be a mistake to critique Dr. Rushall’s specific USRPT program as “nothing new” because it is, in fact, a unique application of many different principles in physiology, psychology, and motor learning. 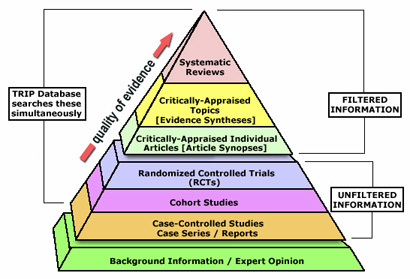 The modern convention for evaluating scientific evidence is the evidence-based pyramid, which ranks evidence from highest quality to lowest quality. Meta-analyses and systematic reviews rank highest, followed by randomized controlled trials, case series, down to clinical observation (which in the coaching realm might be called “coaching wisdom”). When conclusions of higher level evidence conflict with lower level evidence, it does not mean one is “right” or “wrong”. It simply means you might have more reason to follow the higher level conclusion, but in fact, the conclusion from lower levels may be more appropriate for the individual situation. Clearly, USRPT has not been studied at any higher levels. One reason is that designing a formal long-term study would be nearly impossible. Yet the same thing could be said for nearly any training approach. The best evidence we have of USRPT is an anecdote from word-of-mouth and a few scattered internet postings. 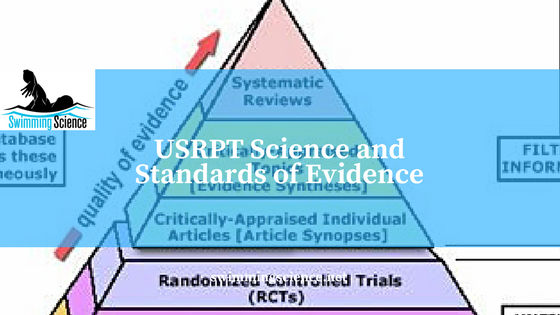 In other words, the best evidence for USRPT itself lies within the bottom rung of the formal evidence hierarchy. But the lack of formal evidence is hardly a conclusive strike against any methods. In the absence of direct evidence, the next step would be to evaluate the evidence used to support the claims. If we can’t evaluate the method itself (USRPT), we can at least evaluate the evidence relied upon. Key point is that quality rules over quantity. Now, Dr. Rushall has cited volumes of information, but that alone does not determine a scientific basis. That said, the main point is that without direct study of a particular intervention (of which there is none for USRPT in the peer-reviewed published literature), the best we can do is make inferences…no different than any other method. USRPT might be the best program out there. Or it might not be. What’s important for this discussion is to evaluate claims against agreed-upon standards of evidence. Sometimes “because it works” is the best evidence…and there’s nothing wrong with that. But if any claims are made about being more scientific or more supported than other methods, it is important to test those claims against the standards of the research community. 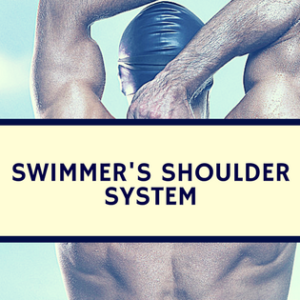 Written by Allan Phillips is a certified strength and conditioning specialist (CSCS) and owner of Pike Athletics. 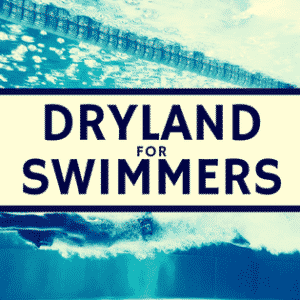 He is also an ASCA Level II coach and USA Triathlon coach.